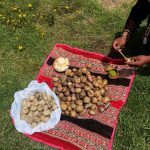 [post_content] => As I sit down to write this blog, I reflect upon my journey abroad and all that it has meant to me. The people I’ve met, the friends I’ve made, the places I’ve gone. It all adds up to an experience that is truly indescribable on paper. Going abroad- far from home, your friends, your family, your comfort zone- it’s scary. I think the thing that has surprised me most along the way is how adaptable we are as humans, how quickly life changes, and how quickly we change too. Four months ago the SFS Center was a place of my imagination: a theoretical dorm room, classroom, and dining hall. Three months ago the SFS Center was a strange and exciting new place with a swimming pool and a brightly colored bug net surrounding my bed. Today SFS is home. As the semester comes to end I look back with fondness and forward with excitement- the adventure isn’t over just yet. I’ve decided to make a small list of all the very best things this semester has given me: all the things I will miss, the things I will never forget, and the things I am incredibly thankful to have experienced. 1. Wishing on a leaf underneath the bioluminescent tree in Sucusari, and being brought to tears by the magic of the night. 2. Getting our faces painted with achiote in Sucusari. 3. An intense love for all things cocona. 4. Seeing my very first pink river dolphin gently poking its head out of the water. 5. Every other pink river dolphin because those creatures are absolutely incredible. 6. Juan and Milka’s cooking. I swear, every meal is the best meal I’ve ever had. 7. Landing in Cusco and feeling cold for the first time in a month and a half. Also everything about Cusco. 8. The foxes visiting the Wayqecha biological reserve every morning. 9. The dog that hiked the whole 6km trail with us at Abra Malaga even though it was raining. 10. Bargaining for blankets and paintings and scarves in Pisaq. 11. 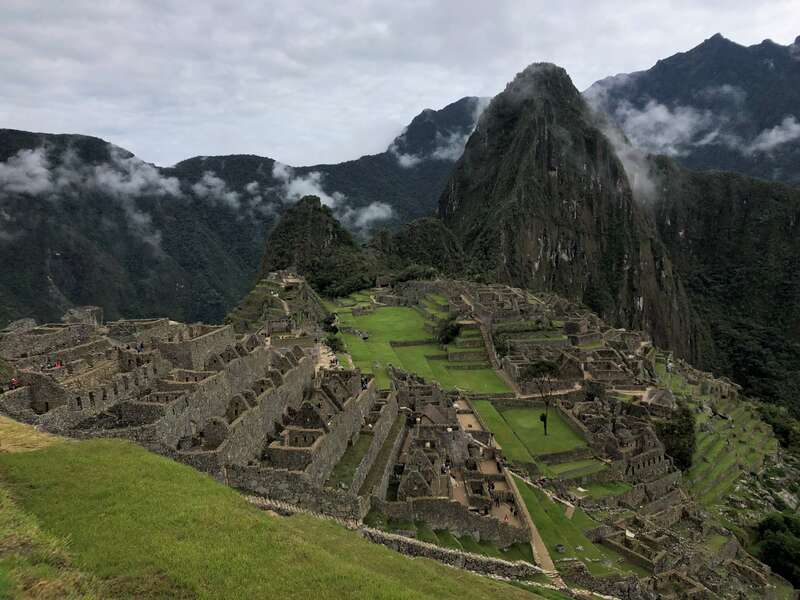 Hiking the Inca trail and seeing Machu Picchu for the first time. 12. Riding on open air boats. 13. Early morning hikes at the center and seeing monkeys that sounded a lot like birds. 14. 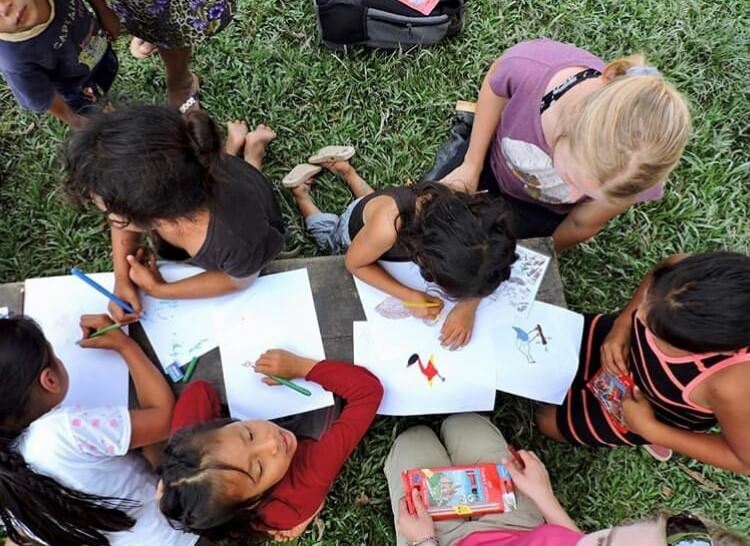 Teaching local children in the community of Jalder about birds, and helping them draw pictures. 16. All the beautiful dogs I met, that I couldn’t pet- but I still loved. 17. Being welcomed into Potato Park with the music of beating drums and flower petals being dropped on our heads. And then being served potatoes all day long. 18. The canopy walkway in Sucusari. 20. All the people and the memories. Everything. I am so thankful to SFS, to the staff here, and to all the other students. This has been the opportunity of a lifetime, and I am so thankful to have taken it. 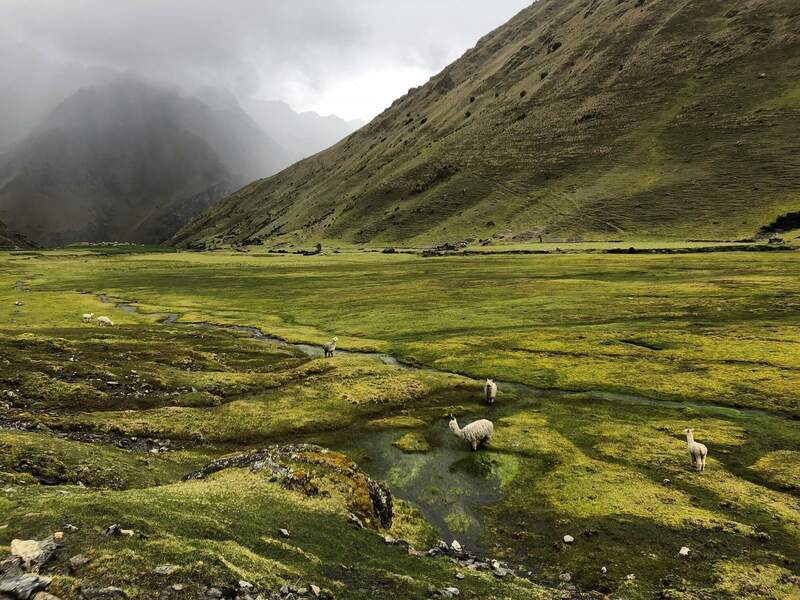 And a small piece of advice: if you are considering going abroad, whether it be here in Peru or somewhere else in the world- GO. Be brave. Push out of your comfort zone. Try something new and strange and magical. It won’t be a perfect experience, but it will be a worthwhile one. Here’s to a life full of adventures, a lot like this one. [post_content] => In the heart of the Amazon, dense green foliage blankets the horizon as far as the eye can see. Here, rich natural resources have supported human populations for millennia, including indigenous groups still living in these forests. 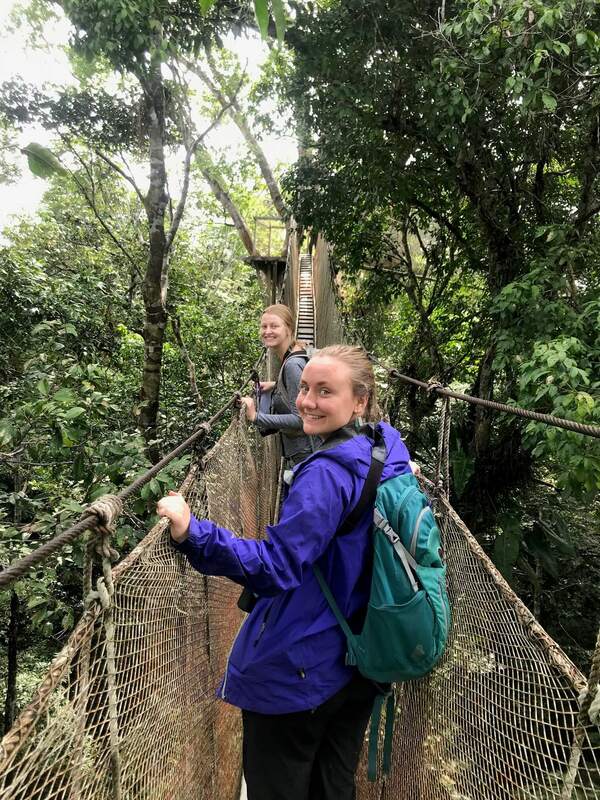 As one of the most ecologically diverse countries on the planet, Peru provides an ideal place to study a variety of ecosystems, their inhabitants, and environmental threats. 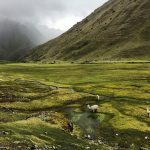 Climate change, rapid development, and extractive activities like logging and mining pose a grave threat to Peru’s dramatic landscapes and the organisms they support. 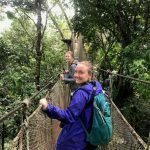 From the glacial lakes and tropical montane forests of the Andes to the flooded forests of the lowlands, Peru is critically important in researching the fate of the Amazon. As I sit down to write this blog, I reflect upon my journey abroad and all that it has meant to me. The people I’ve met, the friends I’ve made, the places I’ve gone. It all adds up to an experience that is truly indescribable on paper. Going abroad- far from home, your friends, your family, your comfort zone- it’s scary. I think the thing that has surprised me most along the way is how adaptable we are as humans, how quickly life changes, and how quickly we change too. Four months ago the SFS Center was a place of my imagination: a theoretical dorm room, classroom, and dining hall. Three months ago the SFS Center was a strange and exciting new place with a swimming pool and a brightly colored bug net surrounding my bed. Today SFS is home. 1. Wishing on a leaf underneath the bioluminescent tree in Sucusari, and being brought to tears by the magic of the night. 2. Getting our faces painted with achiote in Sucusari. 3. An intense love for all things cocona. 4. Seeing my very first pink river dolphin gently poking its head out of the water. 5. Every other pink river dolphin because those creatures are absolutely incredible. 6. Juan and Milka’s cooking. I swear, every meal is the best meal I’ve ever had. 7. Landing in Cusco and feeling cold for the first time in a month and a half. Also everything about Cusco. 8. The foxes visiting the Wayqecha biological reserve every morning. 9. The dog that hiked the whole 6km trail with us at Abra Malaga even though it was raining. 10. 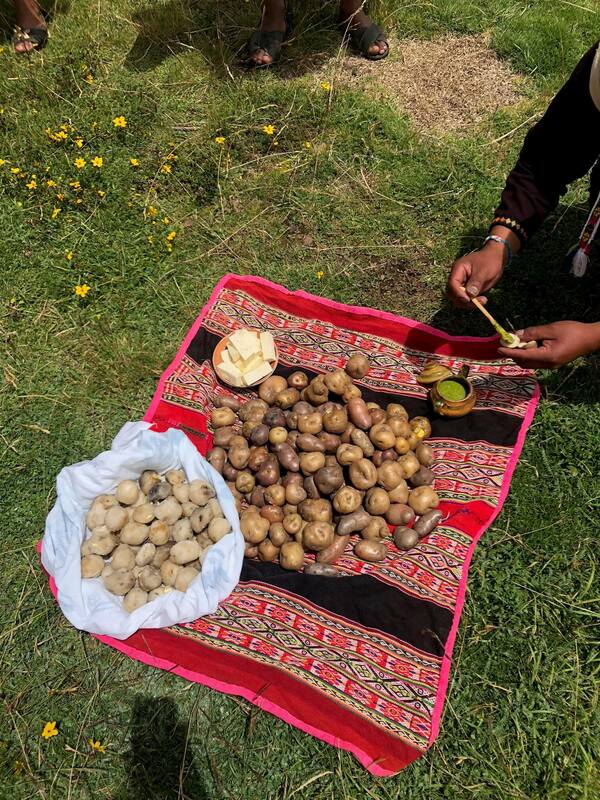 Bargaining for blankets and paintings and scarves in Pisaq. 11. 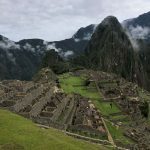 Hiking the Inca trail and seeing Machu Picchu for the first time. 12. Riding on open air boats. 13. Early morning hikes at the center and seeing monkeys that sounded a lot like birds. 14. 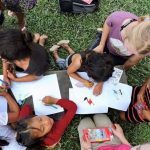 Teaching local children in the community of Jalder about birds, and helping them draw pictures. 16. All the beautiful dogs I met, that I couldn’t pet- but I still loved. 17. Being welcomed into Potato Park with the music of beating drums and flower petals being dropped on our heads. And then being served potatoes all day long. 18. The canopy walkway in Sucusari. 20. All the people and the memories. Everything.